aquatint, a Private of the Royal Marines by Charles Hamilton Smith, engraved by Joseph Constantine Stadler, published 1815. 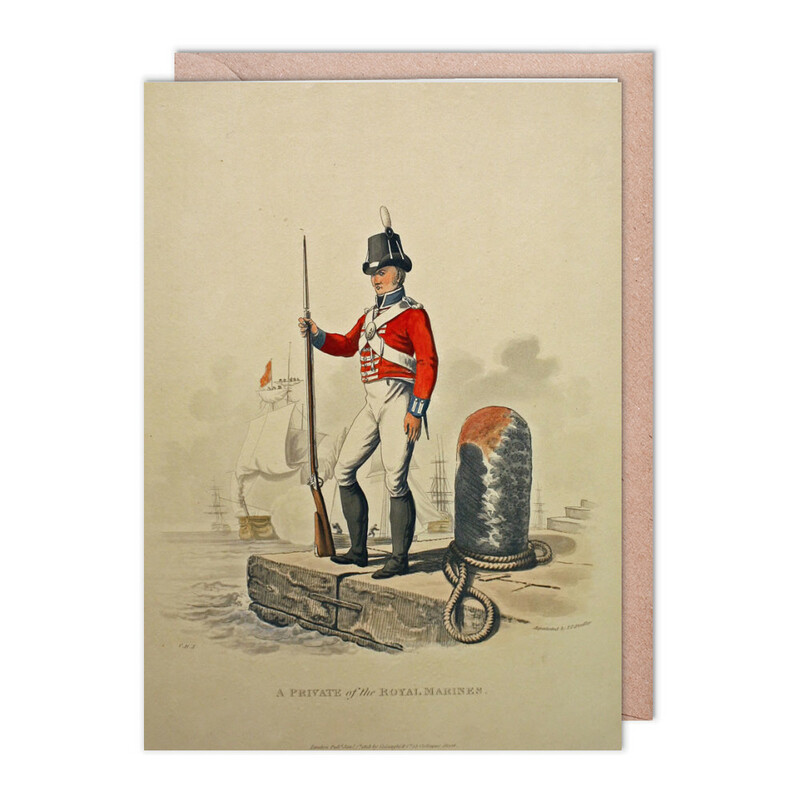 This A Private of the Royal Marines Greeting Card (x2) is created using state of the art, industry leading Digital printers. The result - a stunning reproduction at an affordable price.